Turmeric has long held a place of honor in spice cabinets and drawers around the world. Its earthy flavor adds depth to curries and other Indian dishes. Until recently, that’s as far as its usefulness went in American households. However, the alternative health community is rapidly beginning to recognize the benefits that this orange spice can provide for the human body, both inside and out. Today, health-conscious consumers are becoming more critical of the questionable ingredients found in the average skincare or haircare product. Many of these products claim to nurture our skin or fortify our hair, but in reality, the ingredients they contain, such as dioxane, acrylates, benzophenone, parabens, petroleum, phthalates, and triclosan, can cause serious health issues and can even lead to life-threatening diseases such as cancer. With the combined evil might of the pharmaceutical and cosmetics industries aligned against the humble consumer, finding a product that cares for your hair, protects your skin, strengthens your nails, and doesn’t undermine your health, can be an overwhelming task. Happily, turmeric may provide the answer. With its potent anti-inflammatory, antioxidant and antibacterial properties, turmeric is a strong contender to take pride of place on your cosmetics shelf. Read on to find out all the ways that turmeric can be used to optimize the health of your hair, skin and nails. Many women suffer a lot of embarrassment if they have issues with excessive facial hair growth. Luckily, there’s an easy way to bring it under control — turmeric! Turmeric has been shown through clinical studies to slow the growth of facial hair, meaning you won’t be constantly trying to wax it off. Just make a paste of turmeric powder, rice powder and water, and massage onto the area of concern every day for around 15 minutes. Rinse off with warm water, and repeat daily until you start seeing results. Speaking of embarrassment, how about those snowflakes that show up on your shoulders every time you wear something dark, no matter how often you wash your hair? Instead of popping down to your local supermarket or drug store and paying big bucks on an antidandruff shampoo that uses nasty chemicals to treat your problem (and most of the time doesn’t even end up working anyway), try this homemade solution instead. Combine equal parts turmeric powder and olive oil in a bowl, rub some onto your hands (wear gloves if you’re worried about getting orange hands! ), and massage the paste gently into your scalp. Leave the mixture in your hair for around 15 minutes, then hop in the shower and rinse it out with warm water. You can follow with a natural shampoo; however, it might be time to ease off on the shampoo front, as most shampoos tend to dry out the scalp and contribute to more dandruff. You may think that those unsightly stretch marks are permanent, but simply applying turmeric on a regular basis can help to diminish them — if not heal them completely over time. Curcumin, the active ingredient in turmeric, is anti-inflammatory and antioxidant, which can help to heal your skin and lighten stretch marks with repeated application. Drop a teaspoon of gram flour, a teaspoon of turmeric powder and a tablespoon of yogurt into a bowl and combine until smooth. Gently rub the concoction onto your stretch marks once a day for at least a month, leaving the mixture on for half an hour then wiping off with a cool, damp cloth. Yep, it’s a pretty gross topic, but we had to go there because it’s a surprisingly common condition affecting many people in America. Toenail fungus is usually characterized by rough, often crooked nails with yellow formations under and over the nail, and sometimes cracks in the nail itself. It’s unsightly, to say the least, and over time it can permanently damage your toenails. Due to its antibacterial properties, turmeric is an excellent way to permanently banish that nasty fungus from your toenails. Simply mix turmeric powder with water to make a thick paste and apply directly to the affected nail(s). Do this every day until the fungus is completely gone from your toenail, and preferably leave the paste on throughout the day if at all possible (try wrapping the toe in some clean cloth or gauze, or just use socks that you don’t really care about!). 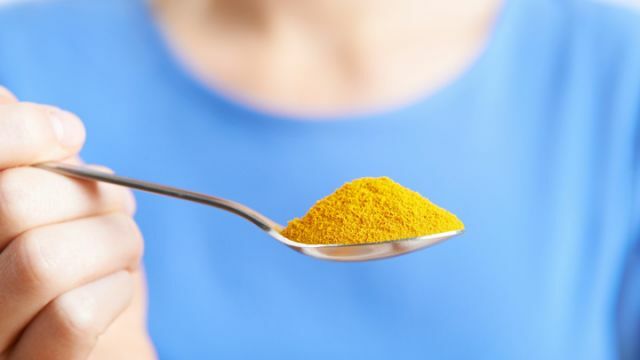 Consider incorporating more turmeric into your diet to harness its amazing health benefits? And here’s an ingredient you should always eat with turmeric. Hey Buddy!, I found this information for you: "Why You Need Turmeric For Healthy Hair, Skin And Nails". Here is the website link: https://www.thealternativedaily.com/why-you-need-turmeric-for-healthy-hair-skin-and-nails/. Thank you.